You can be a part of our workshop and see it online! Look at our AI4Good.org Facebook page and see the live stream! 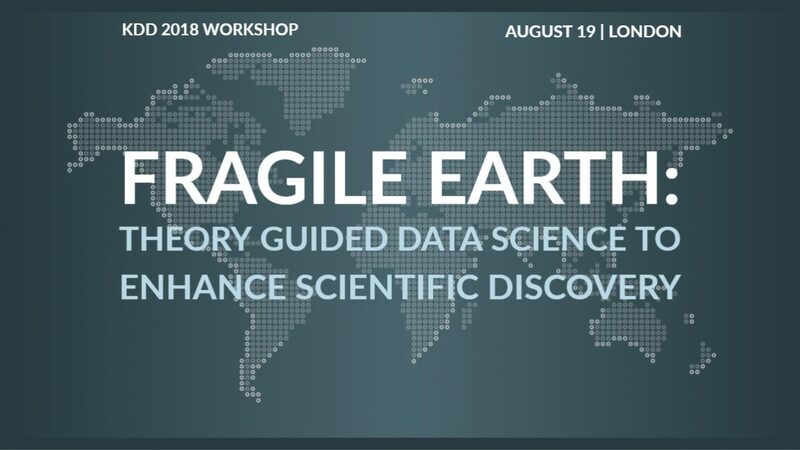 We are excited to announce the Fragile Earth workshop at KDD ’18 in London on August 20th. FEED ’18 will bring together the research, industry, and policy community around enhancing scientific discovery in the earth sciences through the joint use of data, theory, and computation. Whether it is food security, water scarsity, energy use, climate models, or the incorporation of theoretical thinking into data driven frameworks of scientific discovery, and related areas, we invite you to be part of the community! The founder and leader of the Computational Data Analytics group at the ORNL, a joint faculty member in the Computer Engineering Department at Duke University.